It’s complicated enough being an invisible hero with a dual identity, but the problem gets even worse when you switch uncontrollably from visible to invisible every so often …Wallace Morton sends Reflexia, a mercenary with unusual powers, to steal a meteorite which emits radioactive waves that affect the visibility of objects and people. Wallace knows that his alter ego Opacus and the Invisible Man could be affected by the meteorite’s waves.The Invisible Man tries to prevent the robbery, and comes into contact with the rare rock. 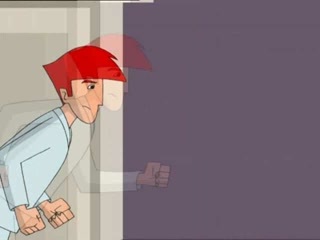 From that moment on he finds himself alternating helplessly between visibility and invisibility, turning invisible when he is with Linda and visible when he is fighting villains.Alan has to find a way to get the mysterious rock back so that he can find a way of regaining control of his uncontrolled life.